I am a US-educated university professor and public health researcher originally from Taiwan. I am also a part time novelist and film critic. I made a wish when I was 18 - to see as much of the world as possible. I discovered "Travelers' Century Club" (TCC) in my early 20's and started "counting" the "countries" I had been to. Aside from Taiwan, I have also lived in United States (Boston, Baltimore, Washington DC, New York City, Atlanta, Philadelphia, Chicago), Canada (Montreal, suburb of Vancouver), and United Arab Emirates (Abu Dhabi) for prolonged periods of time. I also lived in Germany (Berlin), New Zealand (Auckland) and Australia (Melbourne) briefly. As of January 2019, I have been to all 7 continents in the world, all sovereign nations and Olympic/FIFA World Cup participating territories in Europe, North America, South America, and Oceania (being an avid tennis fan, I like to call it continent-wide "Grand Slam") I have also been to the four largest islands in the world (Greenland, New Guinea, Borneo, and Madagascar). All together, I have been to more than 180 Olympic participating countries/territories and FIFA member countries/territories. Currently I am a Gold Member of Travelers Century Club (TCC) and has been to more than 240 countries/territories/island groups on TCC Master List. 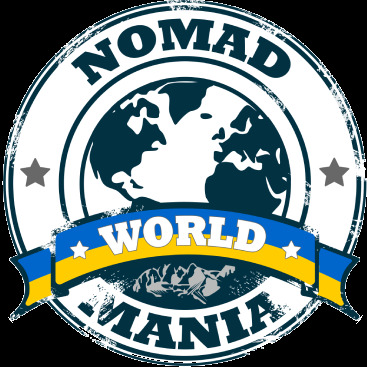 Also, tentatively, I break into Top 100 of Nomad mania's Master Ranking (Yay!). Though I do want to visit every country in the world, this is actually not my current travel priority. In current cutthroat blogsphere full of "competitive travelers/country collectors", (born with a disadvantaged passport to begin with) I knows I will never be "the most traveled person", "the youngest person" or "fastest person" to visit all TCC MostTravelPeople (MTP), or Nomad Mania (NM) destinations. Thus, I am in no rush to visit all destinations on TCC/MTP/NM lists. Currently, I am just taking my time, meeting new friends and reconnecting with old friends, enjoying life, and maybe visit one or two (or half a dozen) new countries whenever I can. And hopefully, I will reach my 250th TCC destination when I go on my honeymoon.